Relationships...God has invited us to enter into an intimate and growing relationship with Him through His Son, Jesus Christ. He also calls us to love one another in the context of community. Life Groups provide a safe place for people to discover the life-changing power of Christ, and grow in friendship with others in a small group environment. Life Groups are for everyone! Whether young or old, there is a place for you. Life Groups provide a place for life-long friendships to develop (Romans 12:10; 1 Thessalonians 5:11; 1 Peter 1:22). 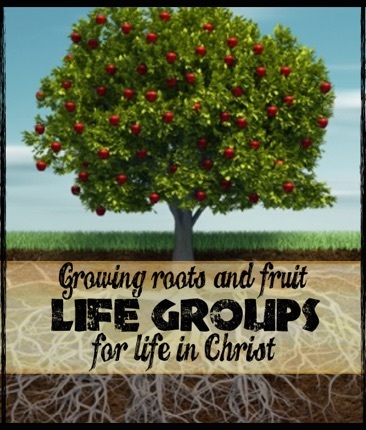 Life Groups provide a place for people to be shaped by the Word of God (Colossians 3:16; 2 Timothy 2:15). Life Groups provide a place for people to praise God for who he is and what he is doing in the lives of people (Ephesians 5:19; Philippians 4:8; Romans 12:15; Colossians 3:16). Life Groups provide a place for people to pray for the needs of one another, the community, and the world (Philippians 4:6; Colossians 4:2). Life Groups provide a place for people to experience the life-changing power of Jesus Christ (John 10:10). This is lived out as people share their faith in words and actions (Matthew 28:18-20; 1John 4:7-16).